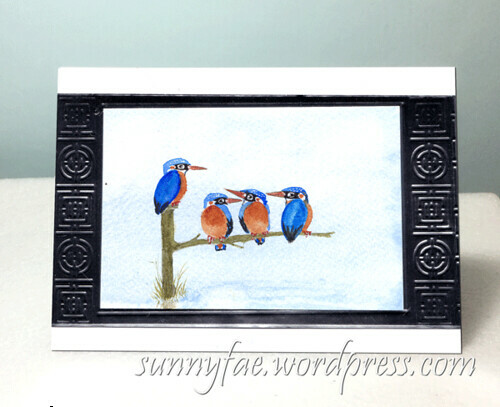 This week I have been practising painting kingfishers with watercolour. I was trying to take some of the knowledge gained with Chinese brush painting and apply it to these lovely little birds. 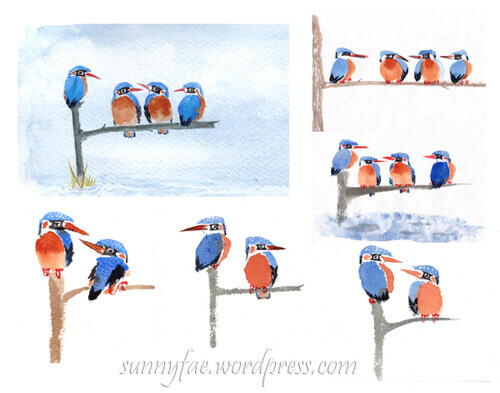 Above are some of the kingfishers painted on various types of watercolour paper (some 100% cotton, some student grade.) using just a few colours. 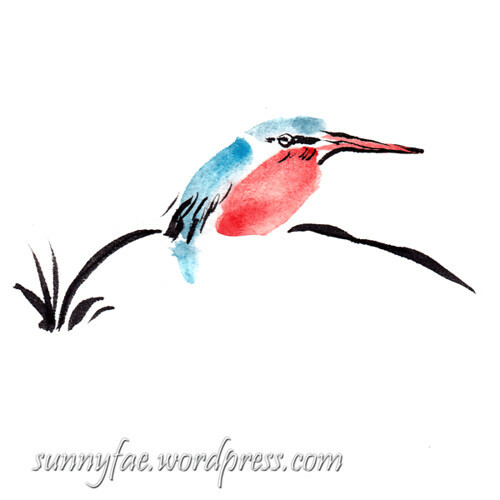 These are little practise kingfishers painted during October (Inktober) they were painted with red and blue ink and finished off with a pentel brush pen. This page was a lot of fun to paint with all of the different poses and positions. Since I had a birthday card to make this week I thought I would use one of the paintings on the card. It’s matted onto a piece of silver card (not that it shows up well on this photo) and used an embossing folder on the ends, it looks much better in person. I really enjoyed paining the little birdies last month, and am hoping to paint lots more. 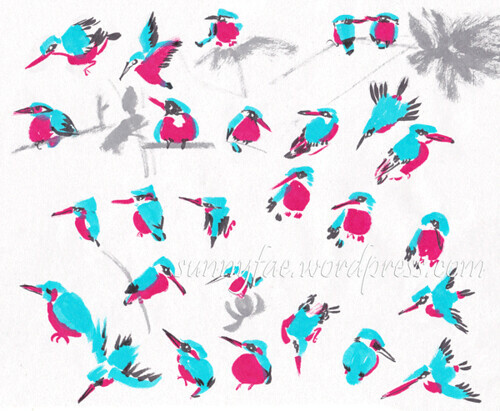 Nice Kingfishers, they look very stylized and like a pattern. Very cute! They look like they’re all trying to agree on something. Are you using caligraphy brushes? For Inktober I usied an old set of Chinese painting brushes. I had bought them many years ago and wanted to learn how to use them. Thank you so much for the info! I hope you’re having a wonderful week!